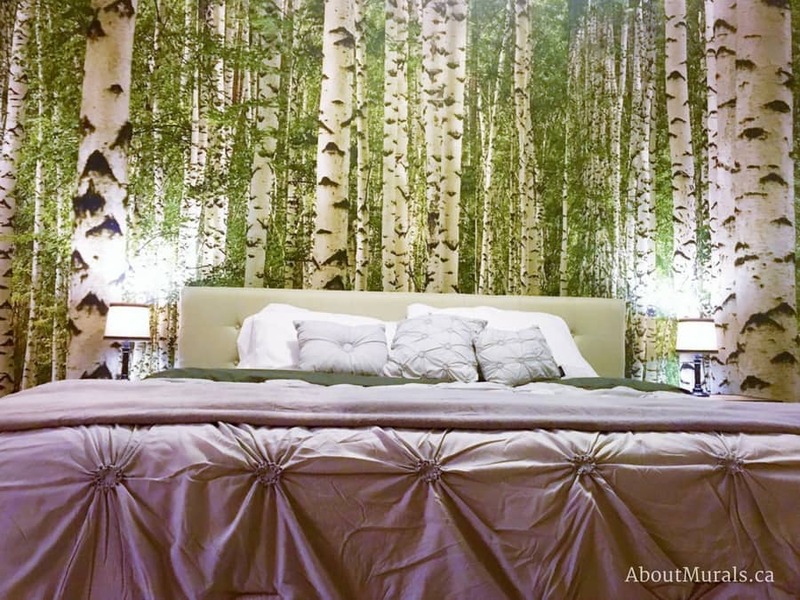 What’s the difference between birch wallpaper and a birch mural? And really, does it matter? 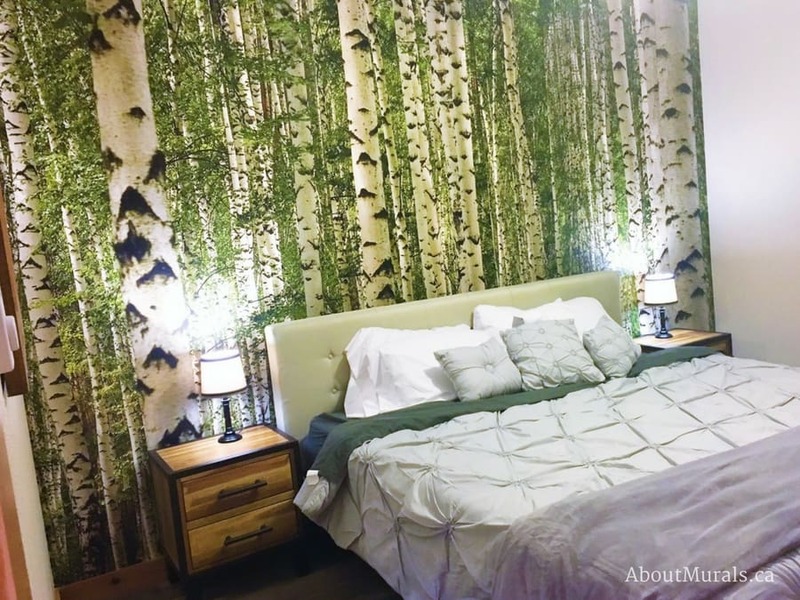 I’ll explain below, but I thought it would be cool if you could see my birch wallpaper (which is actually a mural) in action…in real customer’s homes…so you can see if it’s the right design for you (scroll down to see them all <3). That’s why I spend hours every month asking my customers to snap a pic or two and writing these blog posts for you. Here’s the birch wallpaper…with no repeat pattern! The forest never “repeats” a pattern – it truly looks like a forest. That’s because this is a wallpaper MURAL created from a real photograph…not just a wallpaper pattern that keeps repeating itself over and over again. 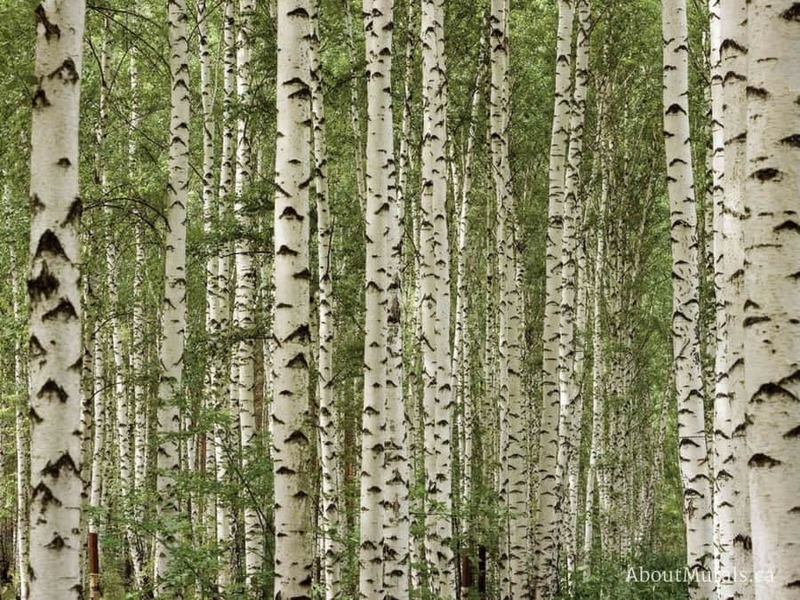 Birch Tree Forest Wallpaper comes in 4 sizes and prices, and you can even order a sample from the product page if you need one. This wallpaper feels totally natural in a room…and it sort of is! All my wallpaper murals are eco-friendly, so you can breathe easy when you go to sleep at night! One of the biggest fears I hear from people about wallpaper is that it’s a bugger to get off the wall later. All of my wallpaper murals are totally removable when you’re ready to re-decorate. Check out my video showing you how easy it is to remove! My customer, Christin (who sent these awesome photos of her bedroom), moved from Colorado to Texas and wanted to bring a piece of home with her. So if she decides to move back home later, the wallpaper will peel right off the walls. Perfect if you’re renting or if you want to “neutralize” a room again to sell your house. Birch wallpaper that’s so easy to hang! My customer, Johanna (who is all the way in Australia! 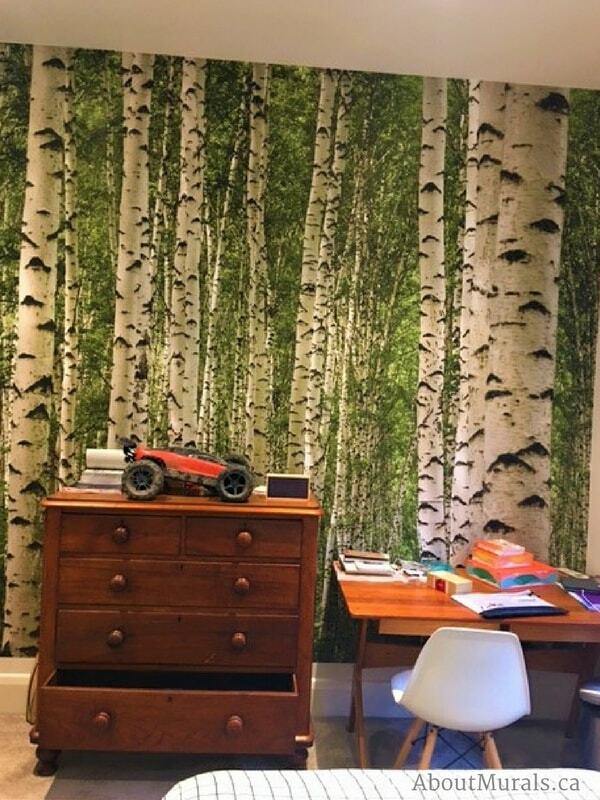 ), hung Birch Tree Forest wallpaper in her son’s room (it’s so easy to do – check out my video!). Think he’s got a peaceful room to do his homework in now? Shop all my Birch Wallpaper Now! Not sure if the green in this birch wallpaper will match your décor? Want to feel the paper so you can see the quality? You can order a wallpaper sample of my green birch tree wallpaper! Looking for a hot deal on birch wallpaper? When you join my newsletter community, you’ll get some hot coupon codes, hear all about my latest sales and see more of these inspirational customer pics!